Jaleel White Net Worth - How Rich Is Jaleel White? Jaleel White Net Worth – How Much Is Jaleel White Worth? Jaleel White net worth is estimated to be 10 million dollars. He has garnered all this money as an actor and producer in the American entertainment industry. Over the years, he has appeared in a number of television shows and big screen movies. Besides, he has also produced a couple of films. It from all these activities, Jaleel White has been able to have all this money. By looking at his life closely, you will know how he has made his wealth. Jaleel was born and raised in 1976 in Pasadena, California. The father was a dentist whereas the mother was a homemaker. However, when the son entered the acting world, she became his manager. The first person, who saw acting talent in Jaleel White, was his preschool teacher, who then told his mother to take the boy for acting lessons. By the time, he was three years; he was already appearing on television commercials. His first appearance was for a brand named Jell-O and he was together, with yet another successful actor, Bill Cosby. He got his first role in 1984 in a show that was titled “The Jeffersons”. Soon after, he acquired another role in “Charlie and the Company”. After his performance in the show, more roles kept on coming. His mega breakthrough came in, when he landed a role in “Family Matters”. Actually, most people who know Jaleel White, is because of this interesting show. The show was aired within nine seasons, involving 215 episodes. 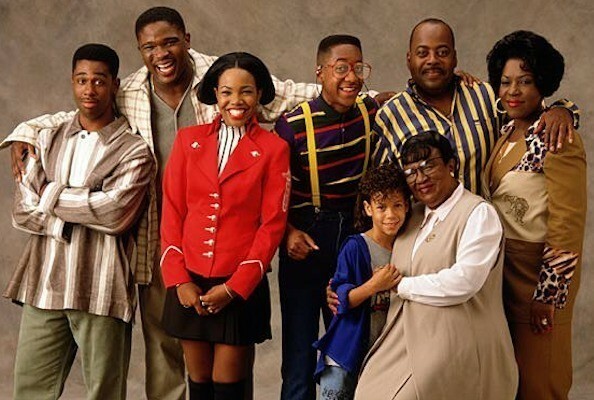 In Family Matters, he played the role of a know-it-all neighbor to Winslow family. He was named Steve Urkel and he acted alongside Darius McCrary among others. To get this role, he had to borrow his father’s glasses. This show contributed heavily to Jaleel’s net worth. After the show, he went ahead to appear in other series including “Psych”, “The Game” and “Grown Ups”. He also produced his own films and featured in them, which included the popular “Fake It Till You Make It”. Besides, he has also lend his voice to “Sonic the Hedgehog”, which is an animated production. In addition, he also tried his luck on the show “Dancing with the Stars” in 2012, at its fourteenth season, but did not win. Today, Jaleel is divorced from his wife Bridget Hardy; with whom, they have a child. Jaleel White daughter is called Samaya and she was born in 2009. Bridget has been reported saying that her baby daddy used to mistreat her and even cheat, when they were still married. Whether the claims are true or they are mere allegations from a jilted woman, it is hard to tell. Now you understand why Jaleel White net worth has grown to this figure.